Waterproofing is a profession just as plumbing is. It takes lots of training and experience to be a competent plumber. The same is required of a waterproofing contractor. Plumbers are trained and skilled in dealing with plumbing. 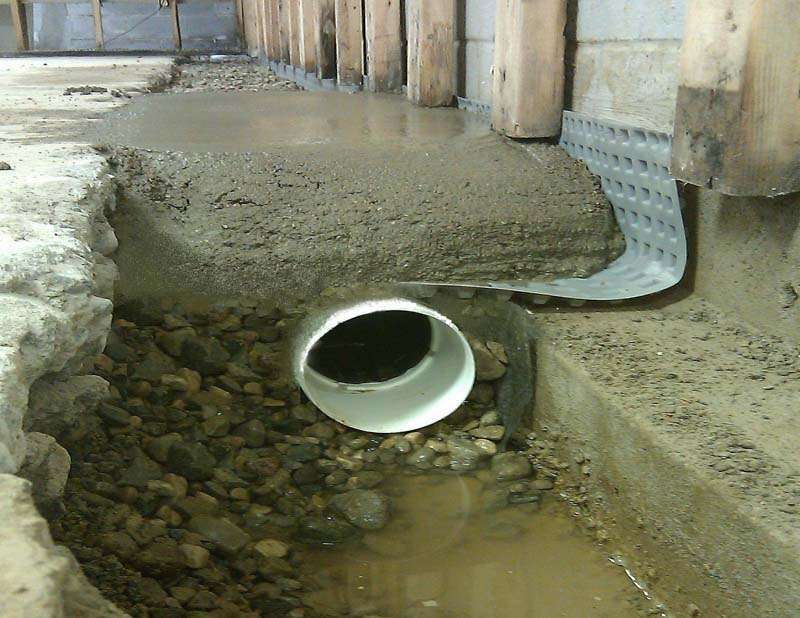 Waterproofing contractors are trained to deal with basements and foundations. They are two completely different professions. A plumber will not have the skills or training to install a French drain. A waterproofing contractor has been specially trained to install these drains. They will determine the best solution for your situation and help you install it for the best results. Plumbers may know a lot about pipes as they have worked extensively with them. They don’t know that much about basements and foundation drainage. They may be able to figure out how to install a drain by watching a video online, but this may result in a serious drainage issue later on. A waterproofing contractor not only understands how to install a drain but also has vast experience dealing with various situations. They are therefore in a better position to adopt the solution to better suit your situation and requirements. This ensures that you get the best results from your drain. Plumbers are equipped to carry out their tasks, which include dealing with pipes and other general drainage. They will not have the equipment to have a drain properly installed in your basement. Waterproofing contractors on the other hand will have state of the art equipment that is designed specifically for the different jobs to be carried out in the basement. Waterproofing contractors are also able to identify and provide you with the best materials for the job. They know where to source the best products and have experience working with them. They also know where they can get the best deals and will therefore save you some money. Plumbers with no experience in the industry cannot provide you with the same advantages. The next time you need something done in your basement in regards to waterproofing, be sure to contact a specialized professional.